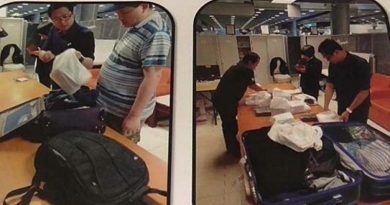 Angry Auntie strikes again after making news last year. 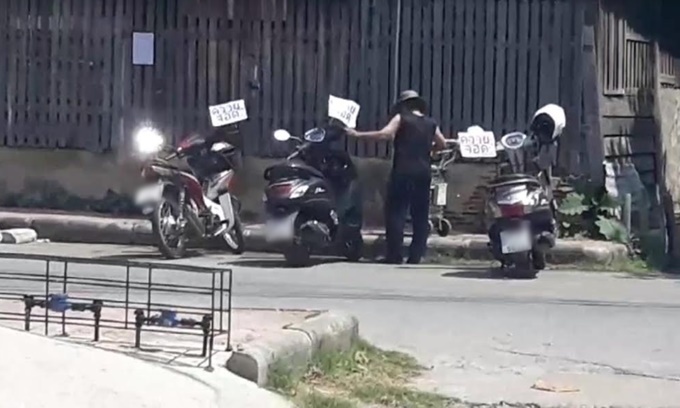 The angry auntie is famous for sticking hate signs on motorbikes that are parked near her home on a public road. She was spotted lately walking out to the road with her trolley and sticking hate signs that say “A buffalo parked here.” on motorbikes parked on the road. 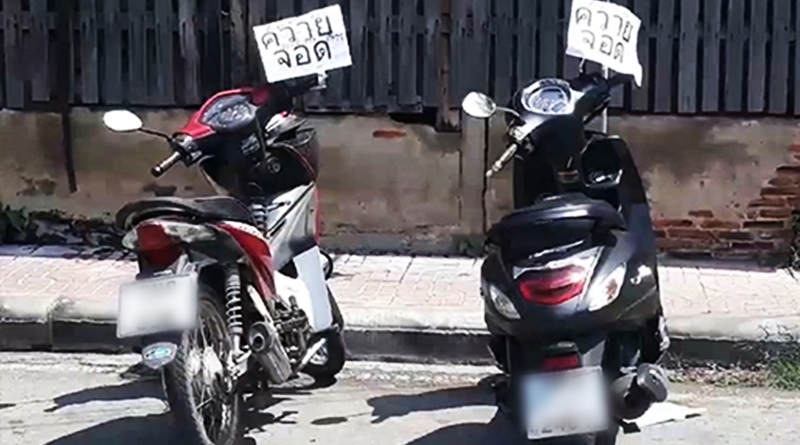 The motorbikes were parked on the Rob Wiang road in front of Lampang Ganyani School in the city of Lampang province. 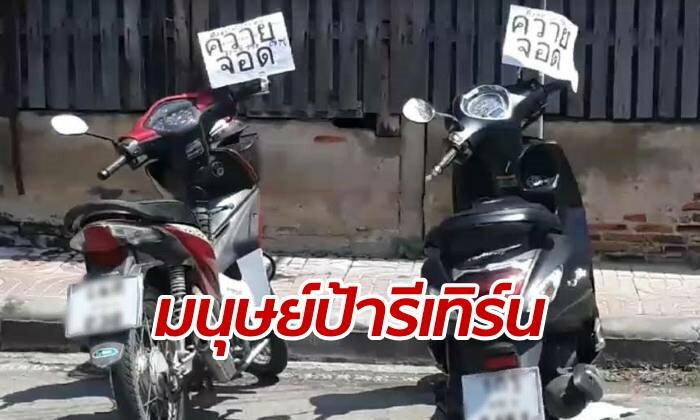 The Sanook news team went to inspect the area on the 18th of this month and discovered that there was a sign stuck on the gate of a house right next to the road that states “Motorbikes do not park on this side of the road, for temporary car park only”. 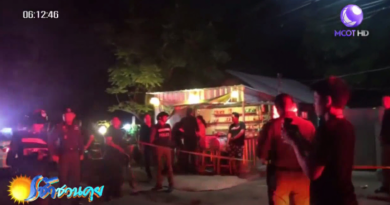 A neighbor of the auntie gave an interview to the news team that she has reported the issue to the Damrong Dharma Center in the past but the auntie would not come out of her house when officials came to talk to her about the issue. The auntie will call out those who park their motorbikes on the road, sometimes when she’s extremely mad the auntie will take a stick and bang her gate while calling the motorbike driver names. She will also come out of her house with her trolley full of paper and stick hate signs on the motorbikes. It has been confirmed that the road is a public road available for public parking, it does not block or falls into her land, there is also plenty of space for other cars to drive through. 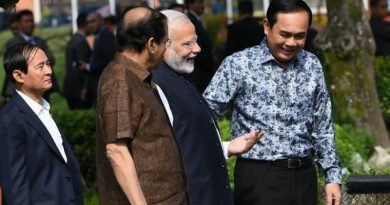 Neighbors in the area wish that officials would finally do something about the situation as the auntie has been doing this for decades, villagers are extremely annoyed of her bullying motorbike drivers including students of the school. FB Caption: She was spotted lately walking out to the road with her trolley and sticking hate signs that say “A buffalo parked here.” on motorbikes. ← Top 10 highly demanded occupations in Thailand 2019.